Mean Well it’s a Taiwanese manufacturer of power supplies. 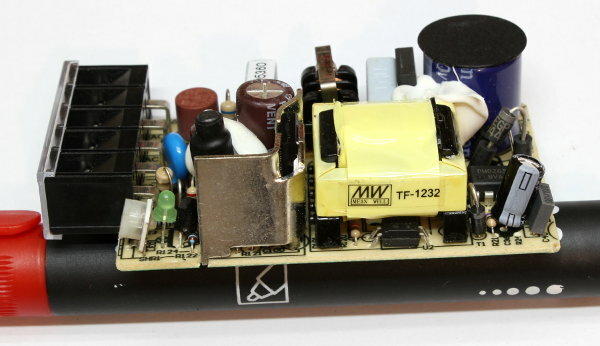 They offer a very broad range of switching power supplies ranging from cheap and simple models to more sophisticated models with lots of features and good component base. Here I’ll be taking apart their bottom of the range NES-15-12 (datasheet) 15 watts, 12 volts single output power supply. 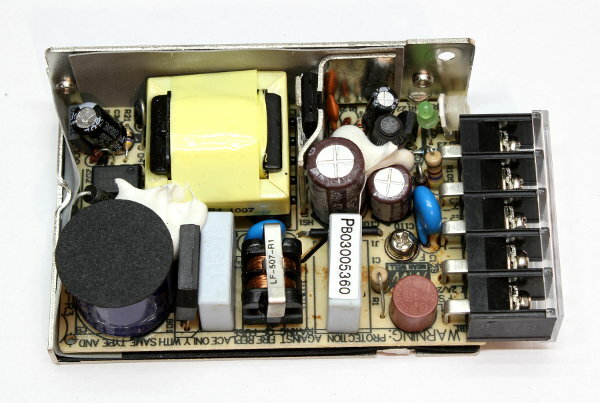 This PSU is rated for 12V and 1.3A output, so it’s a fairly small power supply. Since this is their cheapest model, it is made in China, not Taiwan. The build quality and component base is reasonably good, but it is matching its price. 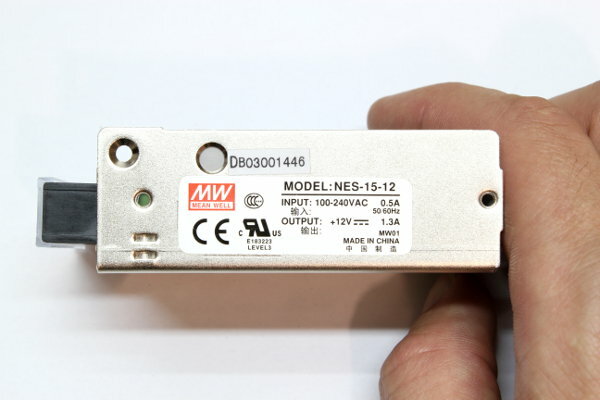 The NES-15-12 has a proper input and output filtering sections, input fuse protection, Y-type filtering caps to meet EMC/EMI standards, etc. Nothing is left out to reduce the price. 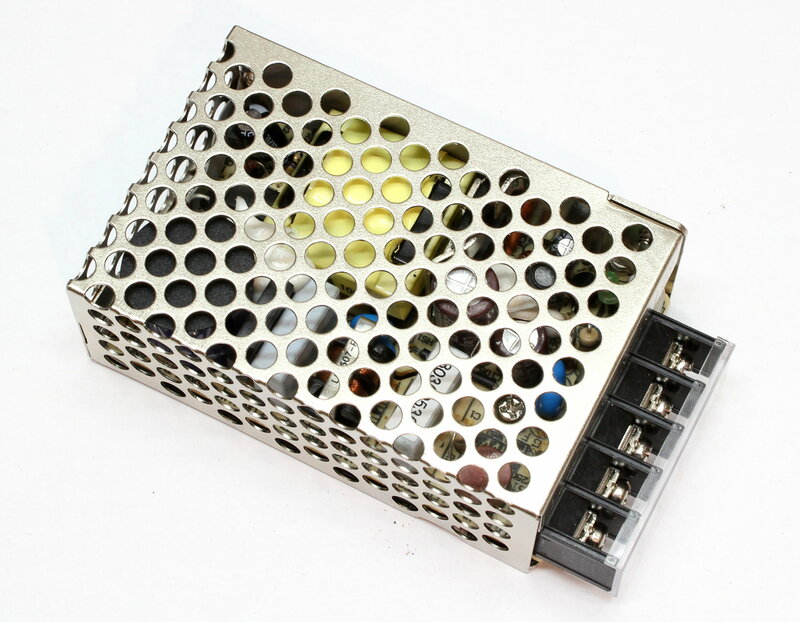 Output stage filtering capacitors is made by CapXon – which is known for high failure rate. But I guess they couldn’t meet their target price, that’s why there is CapXon in there. Also MeanWell has G3 series of power supplies, which is pretty much the same, but made with better quality components and meet more safety standards. On the opposite side you can see optocoupler under the transformer. To protect PSU from vibration they poured a few bits of silicon to hold down a big components. 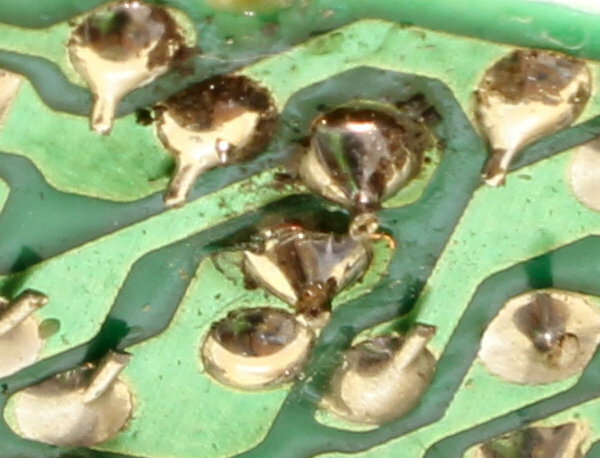 PCB is held down with just one screw and by single catch in the metalic case. There is some nice thick isolation on the bottom and two heat conduction rubber pads. The board layout is well designed with lots of attention to details. They even put a spark gap between common mode filter’s inputs and outputs. Also ventilation holes underneath the transformer for better air circulation. 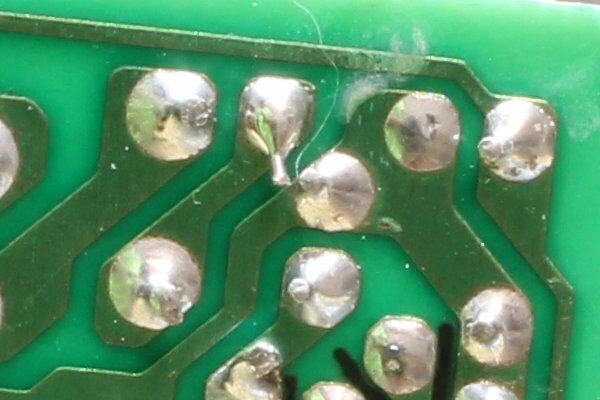 The soldering quality is really good. All components is wave-soldered, except one spot. There’s a little bodge on the board. Originally those two spots were almost touching each other. 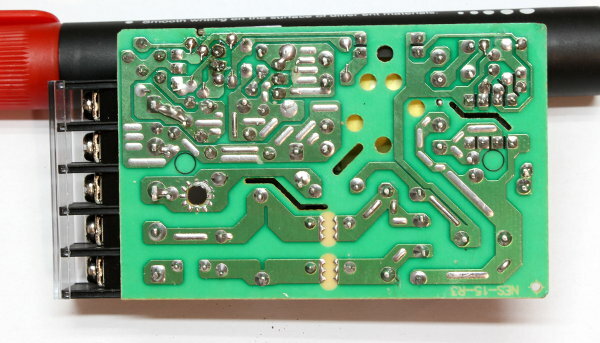 Maybe due to PCB design or due to manufacturing problems. So, it looks like they have fixed it. By lifting up the bottom pad a bit, to increase the distance. I’ve tried to wiggle the cap on the other side and the pad looks solid enough – it doesn’t move. 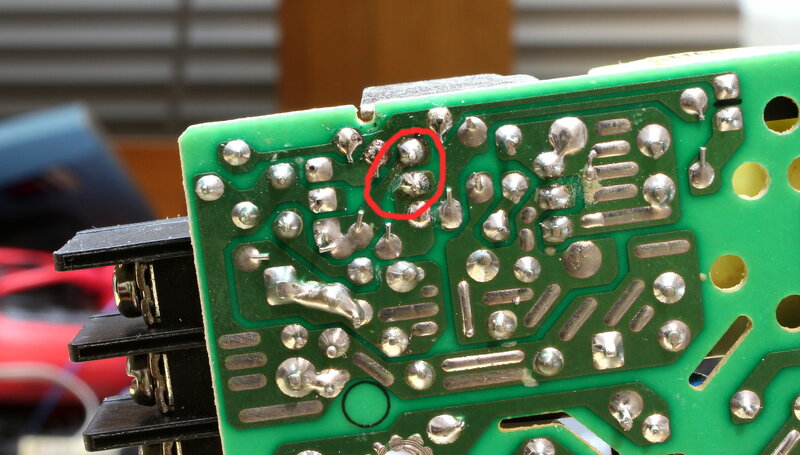 The other thing that I found was those two components pins that were almost touching each other. They should’ve cut those components leads shorter to avoid that kind of problems. Main output filtering cap is very close to the diode’s heatsink, which will definitely help to shorten capacitor’s life. But on the other hand they didn’t have enough space to put it in the different place. There’s a piece of plastic on top of the vent of high voltage tank capacitor. 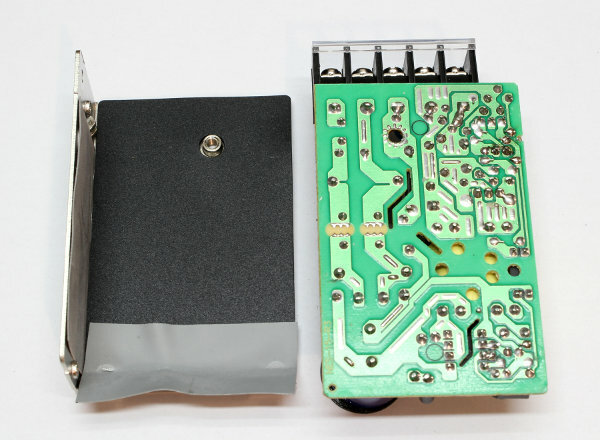 I think they’ve done this to prevent electrolyte from getting outside if capacitor would fail. Nice attention to details. Heat from Schottky diode is transfered through heatsink to rubber pad and to the case. Pretty neat solution. All-in-all this power supply is pretty good for it’s price(considering that it’s MeanWell’s cheapest model range). You can use it with some projects that don’t require high reliability. But I won’t recommend you to use it in places when you need this thing to be very reliable and last a long time. In that case you might want to look at MeanWell’s G3 or some different series. And also it won’t hurt to take it apart and look for some bodginess before putting this PSU to use.